The brief was to choose a brand and create a new campaign for it. 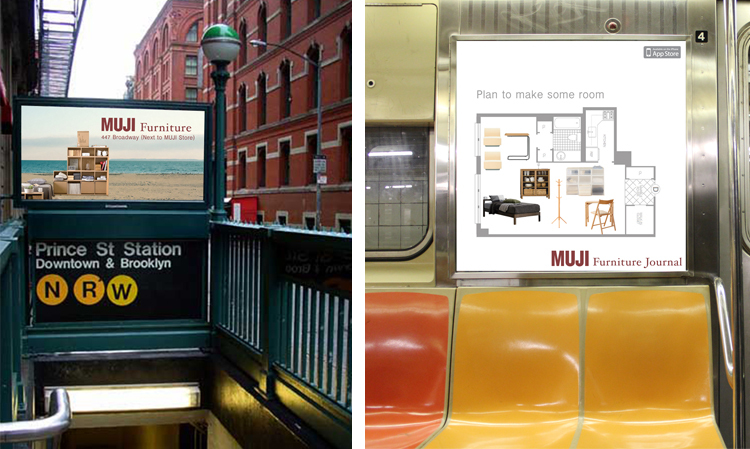 I chose MUJI to expand their furniture line into separate retail stores because my insight was that New Yorkers living in small apartments need small furnitures. My main creative idea for promotion was to create an app for people to share the before and after re-decorating of their rooms/different areas in their rooms.